Our Garden Party postcard design template is the perfect invitation for your outdoor event: birthday parties, anniversaries, weddings, evening soirees, wine-tastings, and more! 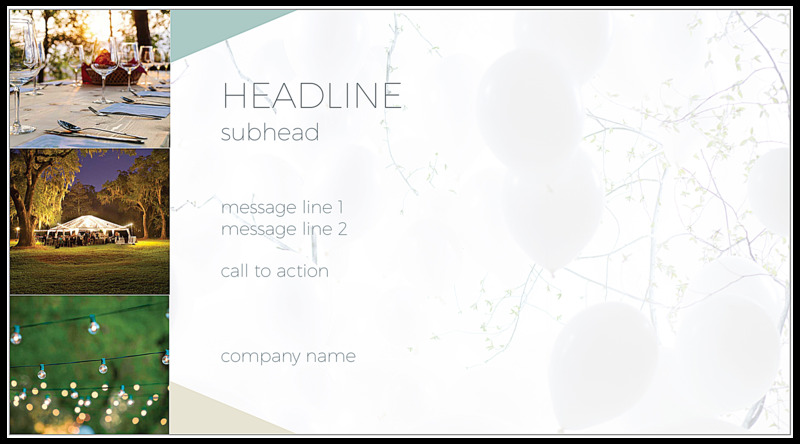 The front features tri-colored overlapping triangle borders around a grayscale balloon-and-tree limb scene, with your large party invitation headline front-and-center. The design theme carries over to the back, with your headline, sub-head, and event information flanked to the left by a trio of three customizable outdoor images: table setting, gazebo, and outdoor lights. Choose from three invigorating color schemes to make your postcards stand out! Best of all, you can completely customize Garden Party to match your event. Simply launch our online design tool, then use the point-and-click, drag-and-drop interface to personalize your text and add your own photos. Get started now! You can design and print custom postcard invitations in no time with our online postcard maker. 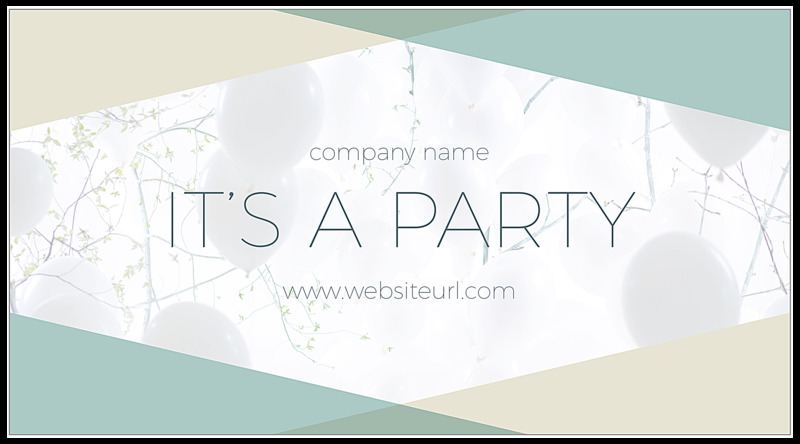 Start with our professionally-designed Garden Party postcard design template, choose your favorite color scheme, then let the tool walk you through the process of editing text and images. It’s so easy! You can even make a free PDF to share with friends and family members to get valuable feedback before you send your postcards. Memories of a lifetime deserve to be promoted on premium paper stock with high-quality printing from PsPrint. Consider ultra postcards, which are printed on triple-thick paper stock and include a band of attention-getting edge color to add a modern splash to your postcards. Or, dress up your text and design elements with a custom foil stamp outline or fill. Whatever you need, our custom printing team is here to make sure you’re satisfied – guaranteed! PsPrint can save you time and money with our in-house postcard mailing service. Simply upload your mailing list when you place your postcard order, and we can handle not only the printing but also addressing, applying postage, and mailing your postcards. Stop worrying about postcard printing and get back to planning your party with complete postcard printing solutions from PsPrint!